Age is just a number. Crossing 40 does not mean that you’re old and should sport ‘older women hairstyles’. A hairstyle has nothing to do with age – but everything to do with how it flatters your face shape and stronger points of your facial features. A short haircut, for instance, highlights high cheek bones – giving the face a ‘visual life’ without going under the knife. That it is easy to style and maintain is another plus. It is primarily for these two reasons that women above 40 tend to prefer fuss-free, shorter hairstyles. A good stylist will make a layer at the level of your shapely cheekbones or graceful jawline, so that the hair pieces are pointing at something that you want to accentuate, and you’ll look even more beautiful. 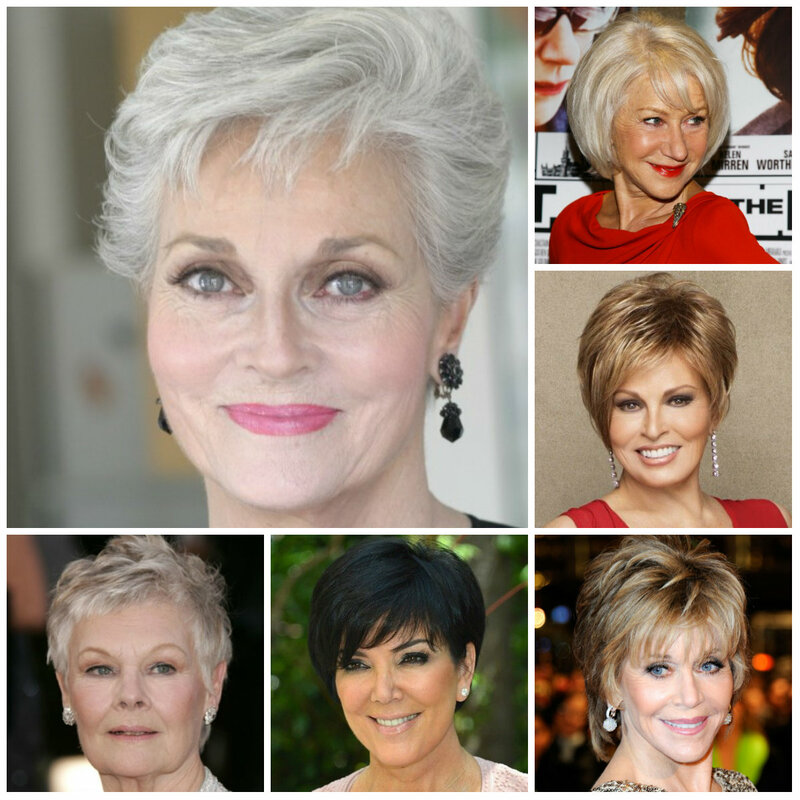 There are lots of different short haircuts for women over 40. Bob haircuts are great for women with heart shaped and oval faces. Pixie cuts are also versatile that you can choose long pixie to pixie with bangs. Messy and organic waves are more youthful compared to structured perfect curls. 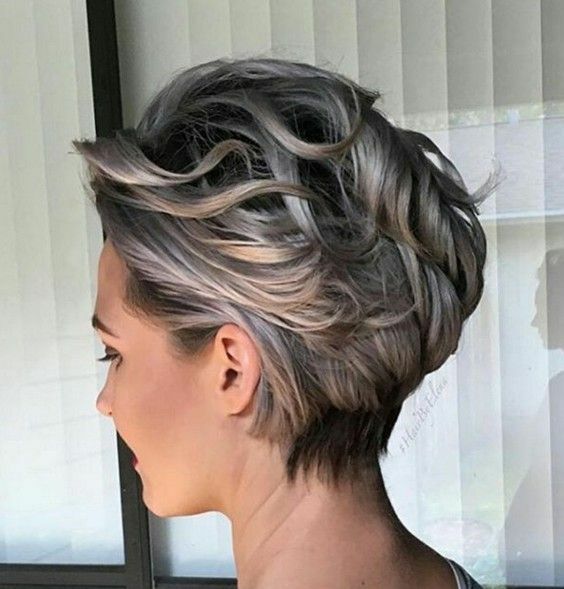 Layered short haircuts are an excellent choice for women of 40, because they give volume to your hair and also give you a look that is overall younger. Here are 6 stunning short haircuts for women over 40. Get one to look elegant, yet chic and take the years off your face. 1. Stacked Layers – Above 40 is the time when grays start peeping out. We suggest you get a color polish instead of the color and this hairstyle that blends several tones of hair color. 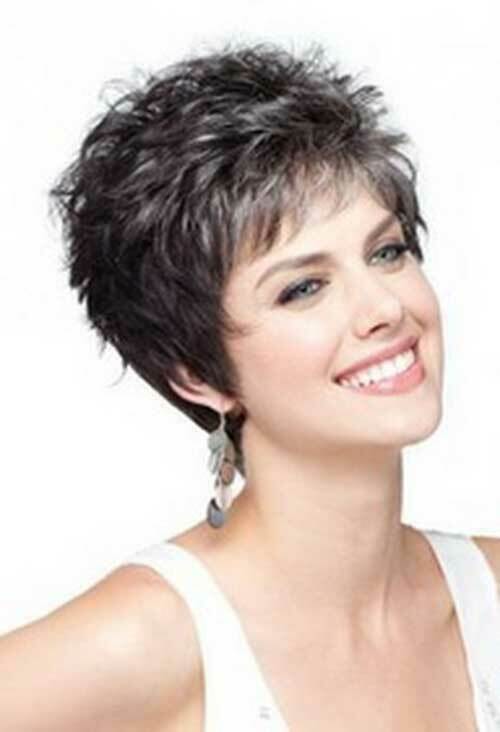 This haircut is perfect for women who are low maintenance because it will cut down on the frequent need for touch-ups. 2. Spiked & Stylish – Stay on trend with a beautiful pixie cut with messy texture. If you want to have more fun, you can give a graded color. Keep the roots dark to camouflage fine or think hair. 3. Straight bob – A bob never goes out of fashion. And if you have straight hair, the natural movement that is a characteristic of straight hair lends an air of youthfulness. Adding bangs will cover up the wrinkles on the forehead as well. 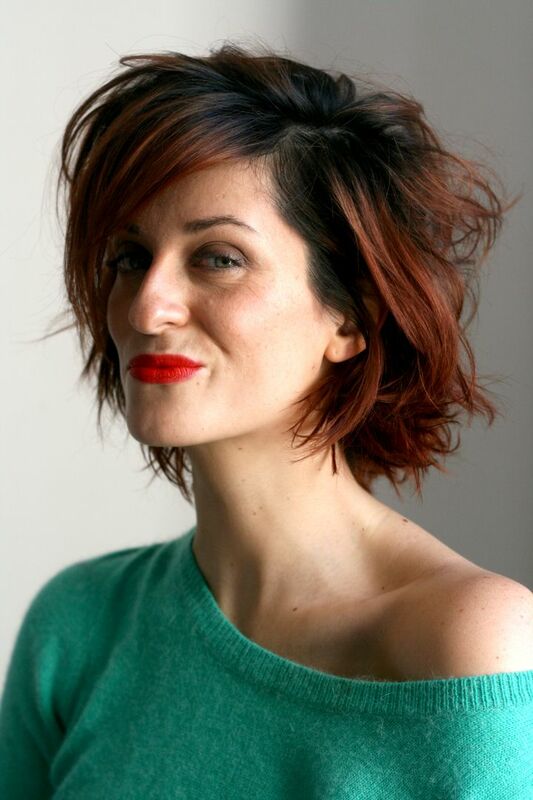 Bob haircuts are great for women with heart shaped and oval faces because they draw attention to a slim jawline. Because the style is neither short nor long, ask your hairdresser for layers to create movement. When styling at home, try curling the ends in opposite directions to create a messy, full texture. 4. 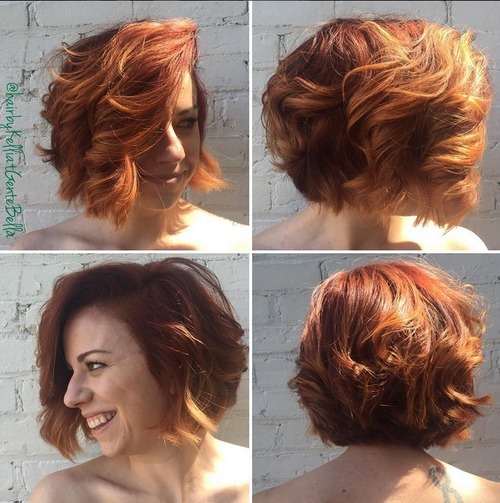 A wavy bob – Not all of us have straight hair. And post 40, when hair could be naturally thinner, there is really no point risking chemical straightening treatment. For this type of hair texture, a wavy bob that is parted from the side looks very chic and playful. 5. Messy Bedhead – The crazy texture in this haircut accentuates naturally curly or wavy hair, but can also seem risky. But then at 40, you have been there and done that – to become naturally fearless and confident in whatever you do. This is the perfect out-of-the-box hairstyle for women who don’t like to blend in. This haircut is a lifesaver for women who have thinner hair or want to create volume. An angled cut with highlights and layers will add volume to your hair. If you want to, you can marry an angled bob with a pixie and have a side parting to create volume and also add height to your frame. I am turning 40 in May and I was thinking of reinventing my look.I got v good ideas for my hairstyle. Thanks. Also, I have very little white hair. I dont want to dye them because i dont want to add to my list of chores and I dont want chemicals. Is colour polishing good if I want to hide some white hair? I think doing anything to grey hairs is temporary and you would constantly need a touch up. Also majority of the hair coloring products contain ammonia which is very harmful! I feel that you should embrace this new color and take the graying as a part of all the things you have accomplished in your life & as a sign of wisdom!